On 3rd September 2018 nine apprentices start their apprenticeship as electronics technician specialised in automation technology and as administrative assistant at SPANGLER in Töging. As wanted driver of digitalisation the young people will receive much attention. „The raw material of the future is called knowledge. However, this only grows through a good apprenticeship,“ Managing Director Tina Lambert summarises the forecast of the apprenticeship of the medium-sized company. “With a six week intensive training our apprentices enjoy a smooth transition from school life to their job right at the beginning of their apprenticeship.” During this time the apprentices will learn the main features of the electronics technician job from the scratch so that they already have a good overview of their future tasks. The nine apprentices consists of two administrative assistants, two female and four male electronics technicians specialised in automation technology and one dual student specialised in electrical engineering and information technology. 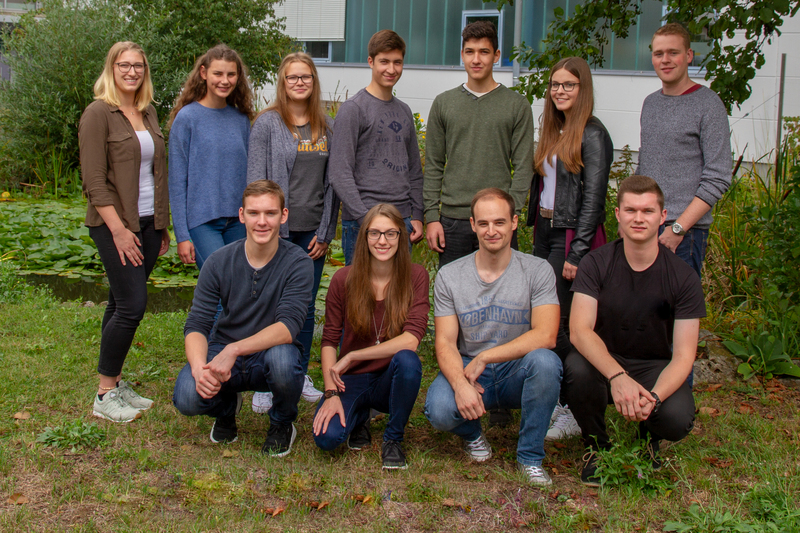 After their intensive training the apprentices start to get to know all fields of their job, supplemented by school stays at the vocational school located in Neumarkt and later in Weiden for block school. SPANGLER’s training programme also includes further points such as the funded four week interchange to Ireland to bring the working environment in an English-speaking country closer or the internal exam preparation. For a successful apprenticeship many hands generally have to grab into each other: company, vocational school, chamber of crafts, chamber of industry and commerce, parents and last but not least the young adults themselves. SPANGLER always employs around 22 apprentices in different years of apprenticeship. After their training period all of them can look forward to excellent career prospects. The skilled occupation electronics technician specialised in automation technology is a job for the future which offers exciting work tasks also in the near future. SPANGLER Automation employs around 140 people at its headquarters in Töging in the Altmühl valley and has been a reliable partner of the national and international mechanical and plant engineering for more than 35 years. More than half of the plants produced are exported worldwide. The medium-sized family-run company plans and engineers plant automation, programs the control technology and manufactures switch and control systems for various sectors such as environmental technology, agricultural economy, building industry, food industry, automobile industry, raw materials industry as well as renewable energies. Moreover, SPANGLER carries out the start-up and the after-sales service of the plants.